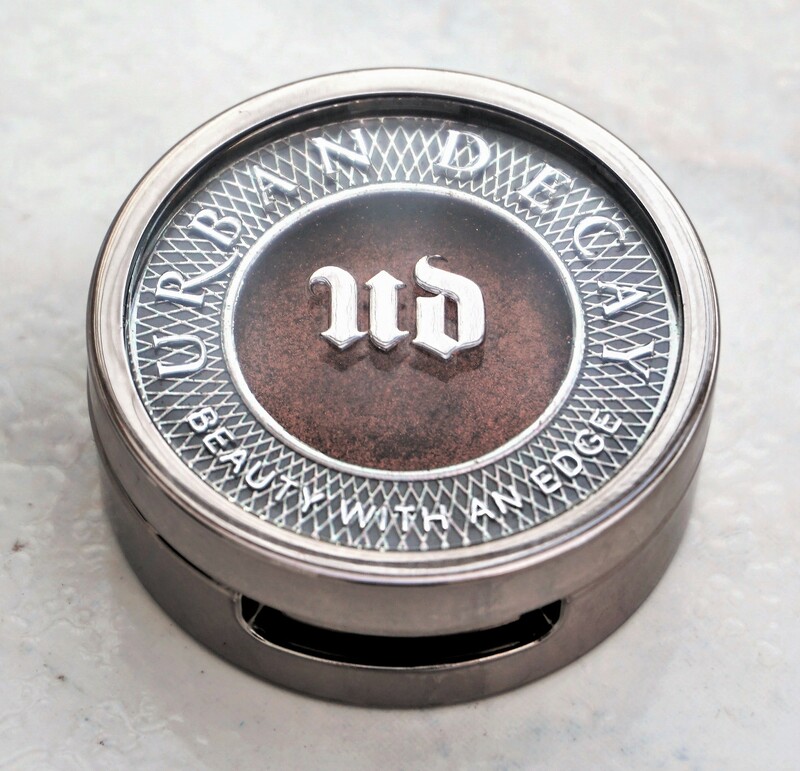 Urban Decay Thunderbird comes in Urban Decay’s classic coin style packaging. The top of the pot (as above) provides the brand name, the brand logo and the brand slogan, ‘Beauty With An Edge’. The base of the eyeshadow has a coloured sticker which matches the shade of the eyeshadow in the pot. The sticker provides the brand name, shade name and product net weight (1.5g/0.05oz). The pot opens to show the eyeshadow in the lower section. 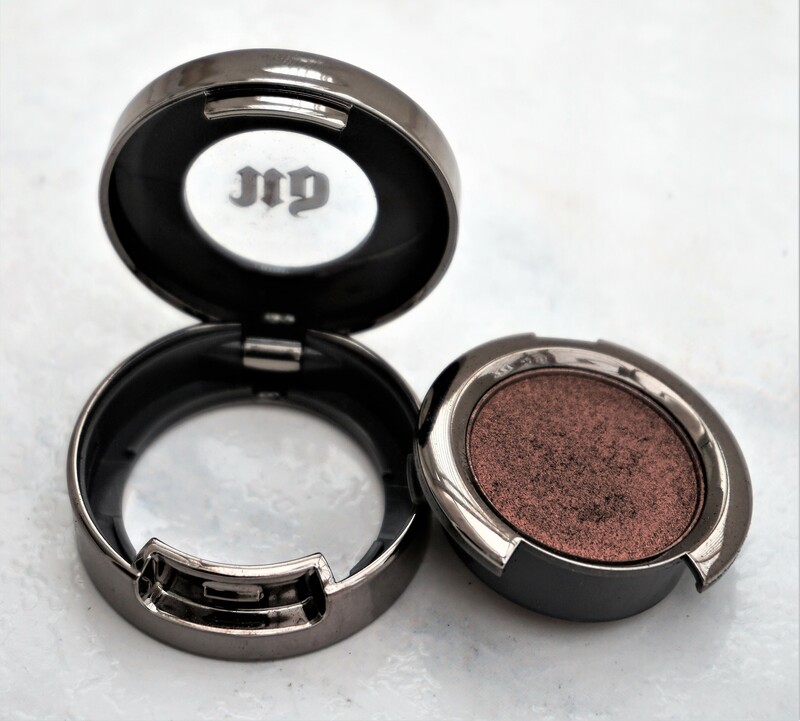 The Urban Decay eyeshadows have quite a cool feature, as you can pop out the eyeshadow from the pot by pushing it up from underneath. The idea is that you can keep the eyeshadow in the pot or you can place the eyeshadow pan in a palette. I haven’t put my Urban Decay eyeshadow singles in a palette, as I find the depotted eyeshadow quite bulky. You don’t just have the eyeshadow pan; you also have the packaging around it which enables it to be placed back into the pot. I prefer the design of the MAC eyeshadows, as the eyeshadow is just the pan without any extra bulk around it. 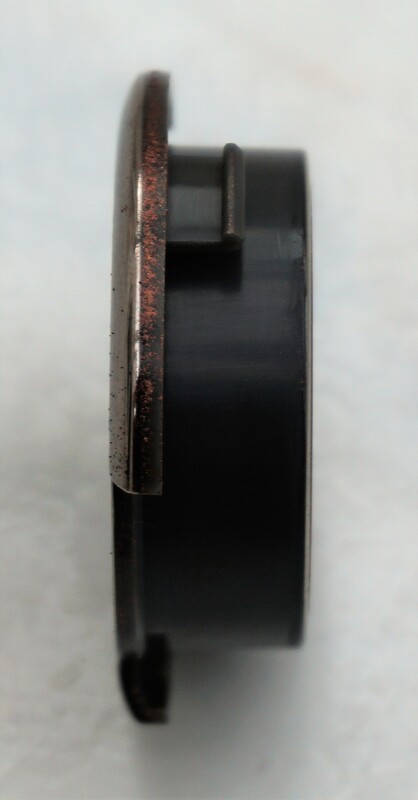 Thunderbird is a deep metallic, chocolate-bronze with a black-ish base. Thunderbird is a really interesting shade as it looks deep bronze but also copper, chocolate, red and black tones from different angles, depending on how the light hits the colour. The black-ish base also gives the shade extra dimension and depth on the eyes. Thunderbird has a metallic finish. There is a real richness to the colour, which makes it look very warm, sultry and decadent on the eyes. Thunderbird has fantastic pigment and colour payoff on the eyes. You can get high impact, bold colour on the eyes by patting the shade on with a flat shader brush. You can apply the shade using a fluffier brush for a more diffused application or colour. 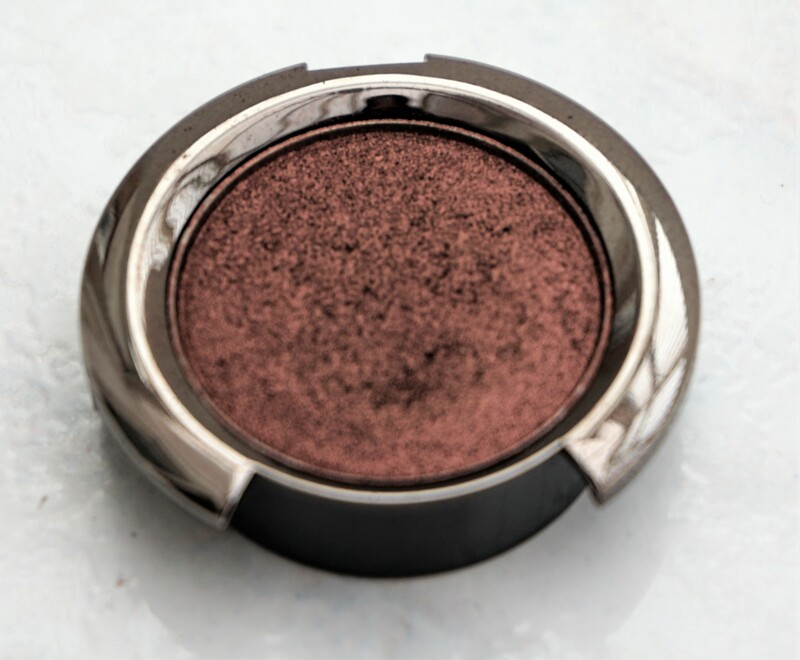 Thunderbird eyeshadow is a fantastic go-to for whenever I want to create a quick and easy smokey eye. The finish, colour tones and blackish base make Thunderbird look complex on the eyes and as if you have used several eyeshadows, rather than just one. 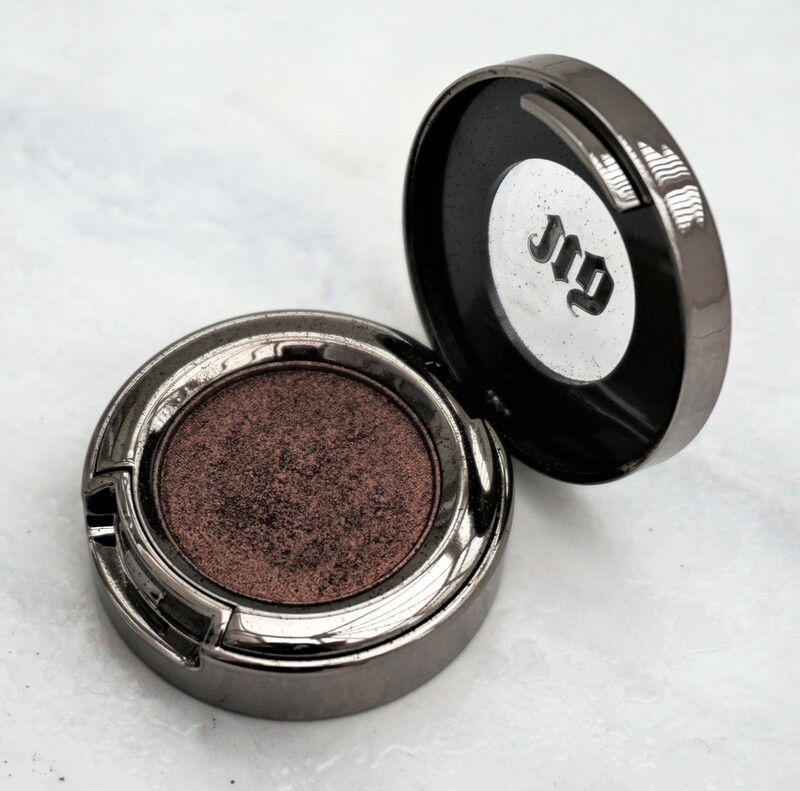 The deep, metallic finish imparts such a beautiful smokiness and richness to the eyes, making them really stand out. The variation in colour tones, depending on how the light hits, makes the colour look really interesting and gives the eyes beautiful dimension. 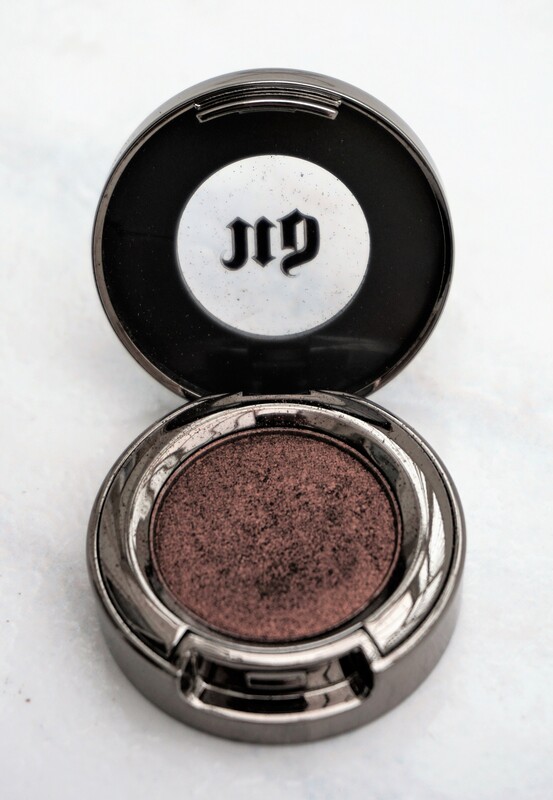 The black tones slightly separate from the bronze (if that makes sense) when you blend it on the eyes, which make it look like you have applied different shades of eyeshadow when you’ve only used one. 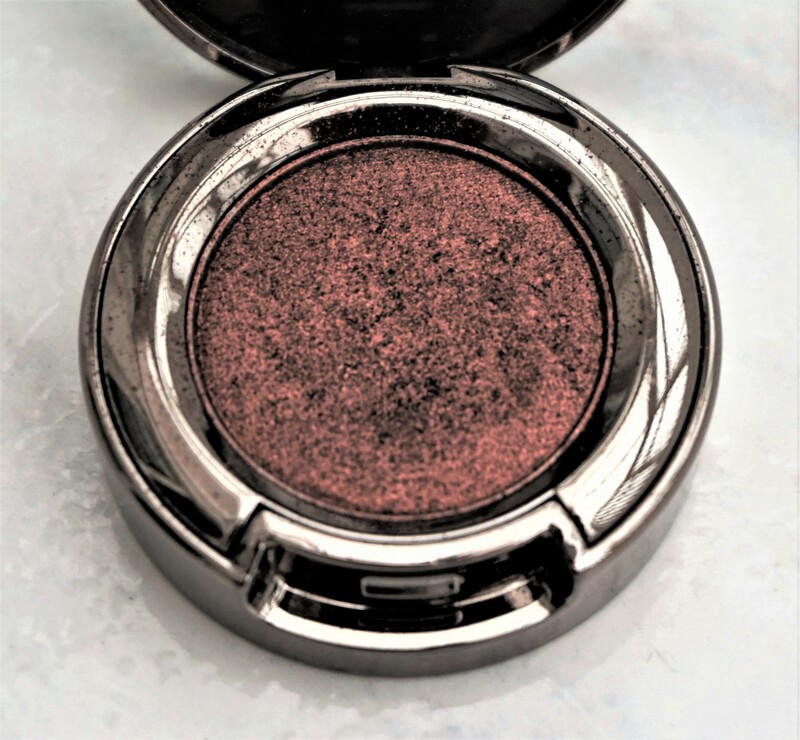 You can use Thunderbird for a quick, smokey look by simply patting the eyeshadow on to the lid and then using a windshield wiper motion to sweep the eyeshadow into the crease. 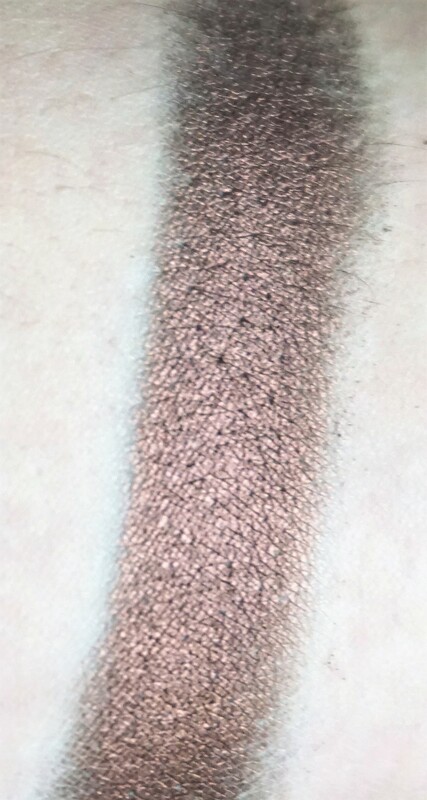 This application technique enables you to shape and colour the eye using only one eyeshadow. Patting the eyeshadow on to the lid means that you get more concentrated, metallic, varied colour. Sweeping into the crease means that the colour diffuses and softens, enabling the black base to come through. You can also combine other colours with Thunderbird to bring out the different tones in the shade. I like combining it with blacks (e.g. MAC Typographic), greens (e.g. MAC Bottlegreen) and browns (e.g. MAC All That Glitters, MAC Soft Brown). I think peaches (e.g. MAC Expensive Pink) and golds (e.g. MAC Goldmine) would look really pretty with Thunderbird as well. Note: I haven’t mentioned any Urban Decay eyeshadow singles here as I have a fairly small selection of shades in my make-up collection. Urban Decay Thunderbird eyeshadow, along with other Urban Decay eyeshadow singles, costs £15. Urban Decay products can be purchased in the UK from various stores, including Debenhams, House of Fraser, Look Fantastic and Feel Unique. Products can also be purchased from the official Urban Decay website. 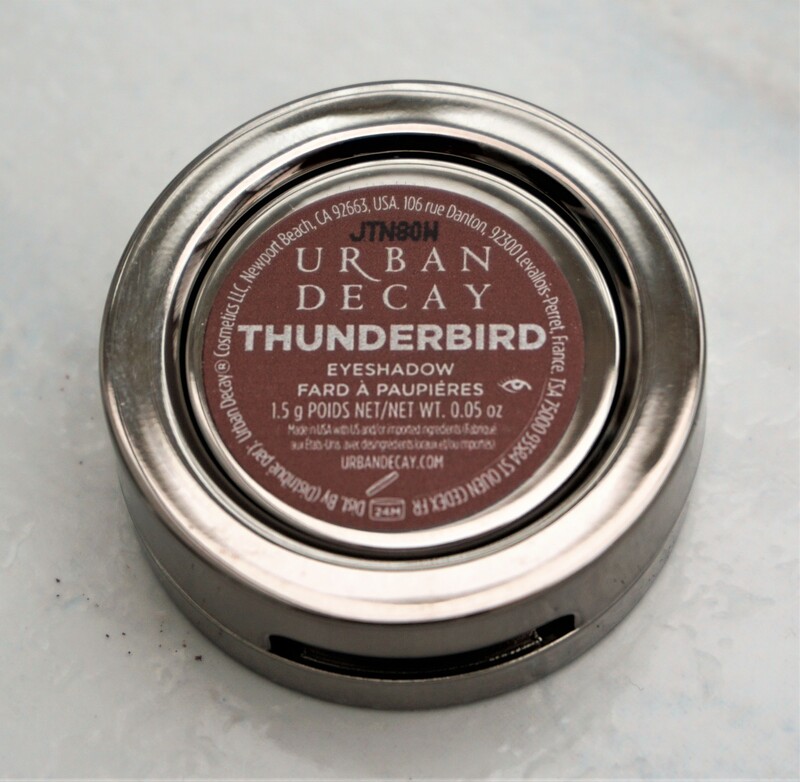 Have you tried Urban Decay Thunderbird eyeshadow? What do you think of the shade? Any other shades from the brand which you love? Let me know in the comments section below.